-Hello Angi at first we would like to congratulation about your EO and the Swiss results. - How did you meet this breed? 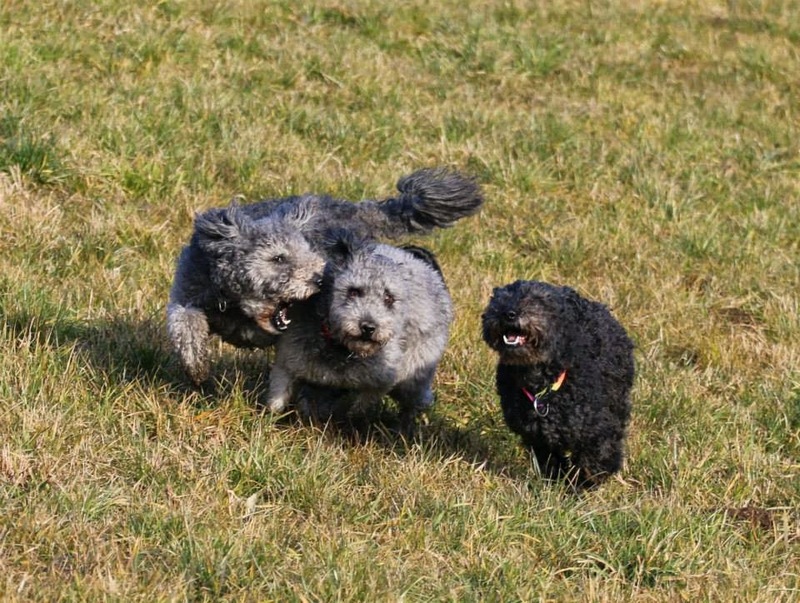 - I met my first pumi 12 years ago at an agility-seminar with Roland Lutz from Luxembourgh. First I thougt about his pumi Tammy: "Oh, not really a good looking dog". But as I saw her running agility, I was impressed. I got the opportunity to run her some parts of the seminar and I was impressed, she had the "fire". But - I didn´t like how she looked. 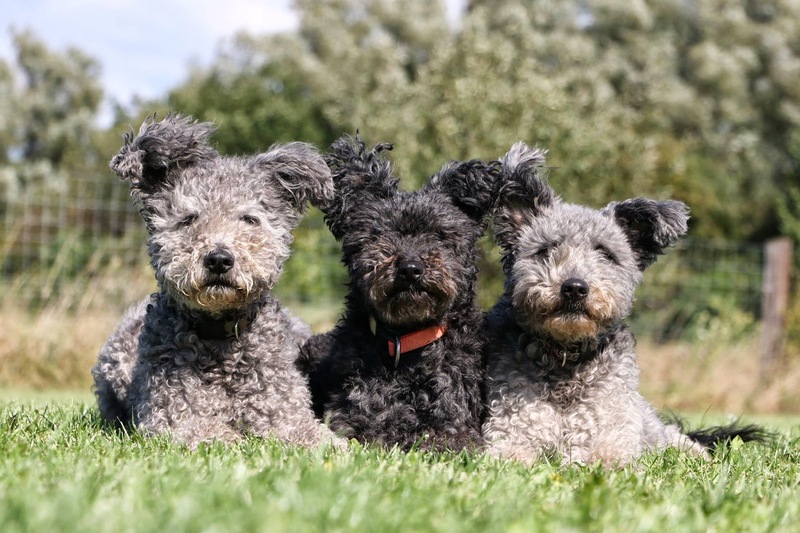 Two years later I met Roland and Tammy again, and this time he has also his young pumi "Gipsy" - and I fell in love with her and the breed! -How long did you compete? -I started competing in spring 2002 with my first dog Asteria, a large mix-breed. The year before I started to train agility on my own. 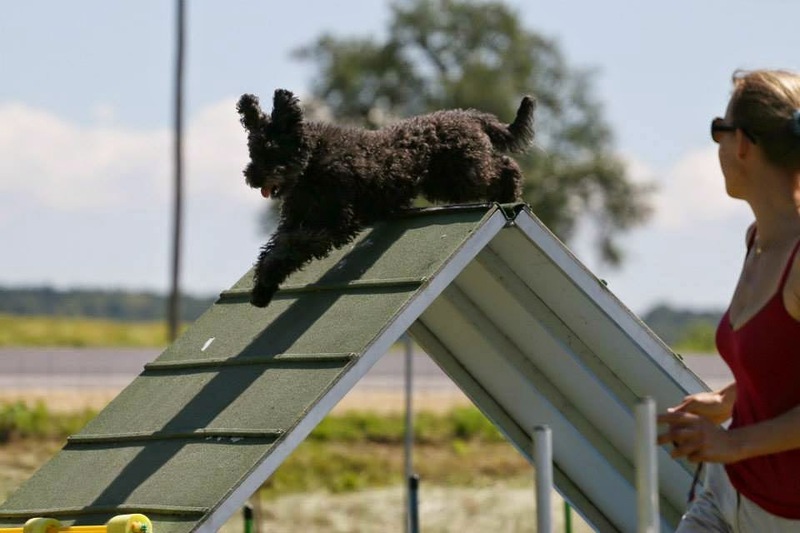 In my club that time were some obstacles - but nobody who knows anything about agility. I bought a book and started. - What is your opinion for the pumi's work? -Pumis are great! And a rare breed in agility - I´m not "as usual" and so my dogs . 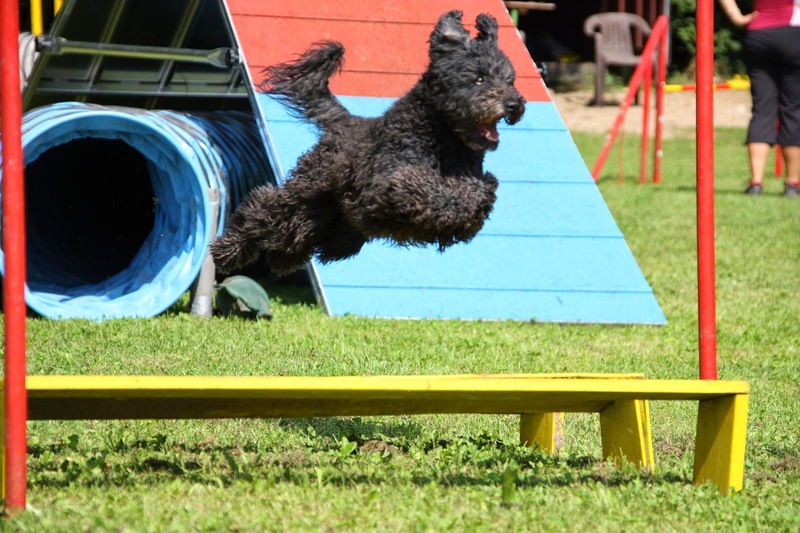 If you want to get a really fast pumi in agility you have to have a lot of enthusiasm and you have to be fast also. And you have to be absolutely fair - means: If it is your fault, don´t blame the dog! And it is always the human making mistakes .... You have to accept that most pumis work loud in their enthusiasm. - Please introduce your dogs in a few words. 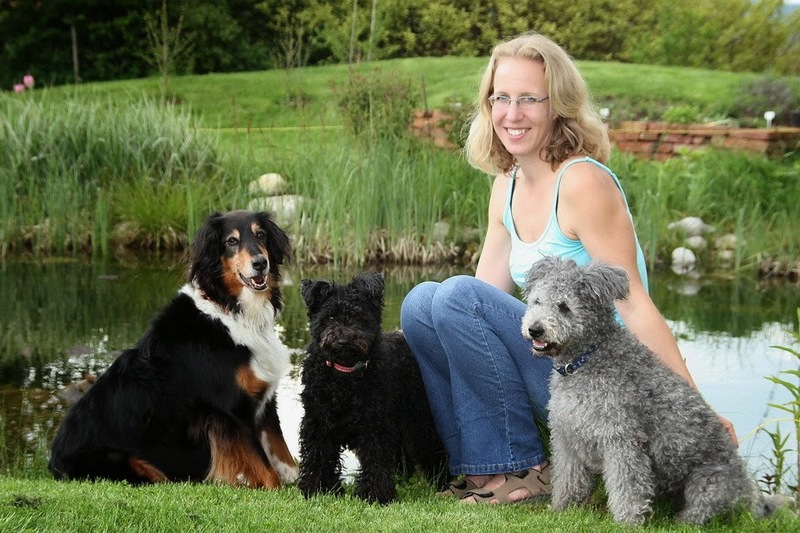 -My oldest is Dana (without kennel-name) from a breeder in Belgium. 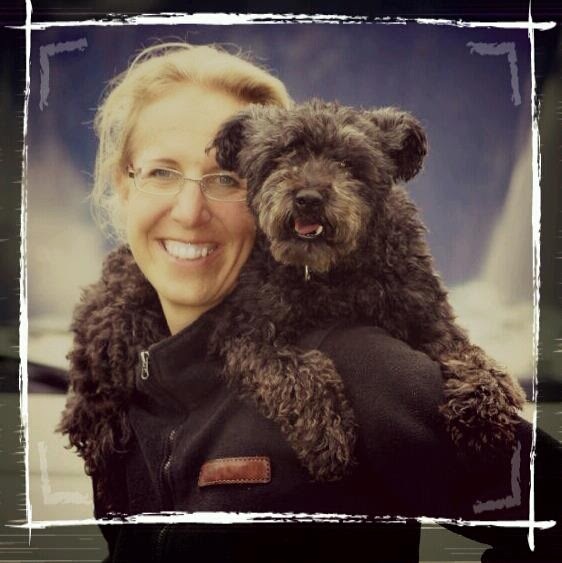 Her grand-father was Miklos, the most famous agility-pumi from Finland in the 1990s. Dana will be 10 in Decemeber. I started with her in large, she has 45 cm. Nevertheless she started at EO 4 times and won some competitions in A3. Phoebe, Aprodombi Hurrikan, my actual champion, is 6 years old. She competed at EO 4 times up to now. Unfortunately we couldn´t qualify for an AWC. Phoebe is absolutely great, fast, full of eager to work and beside the course quiet and balanced. I am very thankful for Petra, the breeder, to get this dog. Malou, "Cosma de la ville aux trois vallees" is my youngest. I got her from Germany. She is totally different to Phoebe in agility - althouht the result looks now nearly the same. Malou needs the experience and confidence to show her talent in a competition. But she is geting faster and faster every training and every competition and when it is going on like this she will be a really rocket. - What competitions did you participate, and what results? -A lot. The biggest: EO, Austian Championships, AWC-Selections, Austrian Championate, ... Competitions in Germany, Sweden, Belgium and Switzerland, beside EO. Titles: I earned some, but I don´t really care about .... most important thing for me in agility is: Have fun with your dog! - Wich result are you proud? -I´m not proud of results, I´m proud of my dogs and the results of my work with them. -Thank you, and good luck with your young pumi too!